Our Institution has been ranked First in India and band 101-200 in the World by Times Higher Education Impact Rankings under the Sustainable Development Goal (SDG 9): Industry, Innovation and Infrastructure. Only five Institutions from India were ranked under SDG 9, out of which, Vel Tech stood first in India. 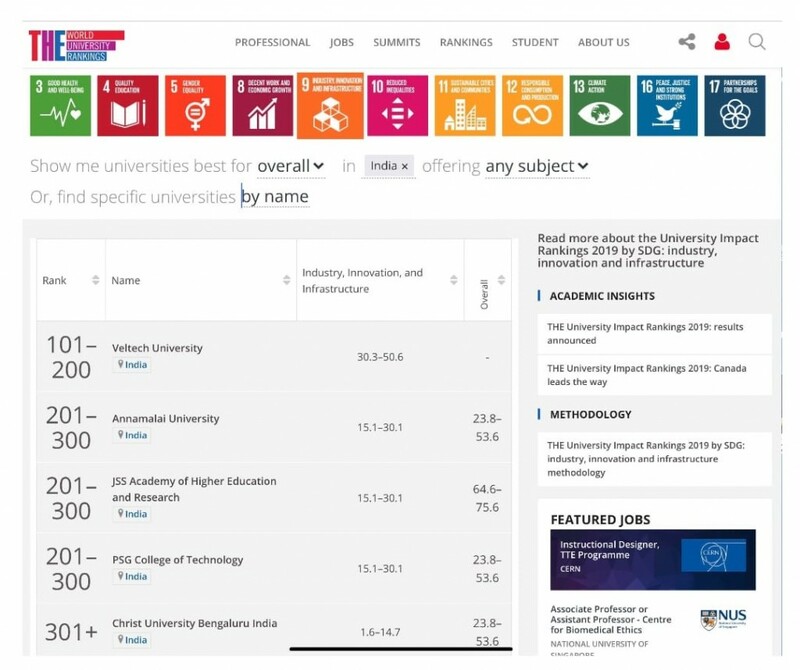 The Times Higher Education University Impact Rankings are the only global performance that assesses Universities against the United Nations’ Sustainable Development Goals (SDGs): Good Health and Well-being, Quality Education, Gender Equality, Decent Work and Economic Growth, Industry, Innovation and Infrastructure, Reduced Inequalities, Sustainable Cities and Communities, Responsible Consumption and Production, Climate Action & Peace, Justice and Strong Institutions. This will provide comprehensive and balanced comparisons across three broad areas: research, outreach, and stewardship. 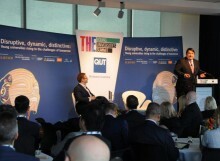 This first edition includes more than 450 universities from 76 countries. The screenshot of the Ranking page is given below.